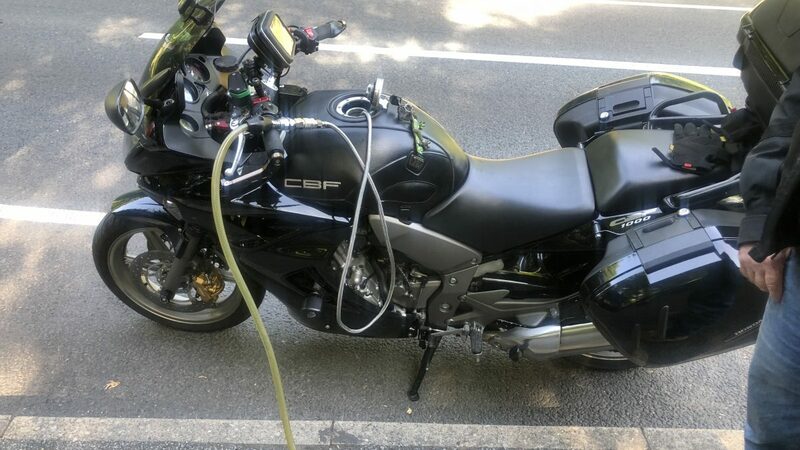 Rapid Response for the riders of these two Honda CBR motorbikes that had been filled with diesel in Betws-y-coed, North Wales! 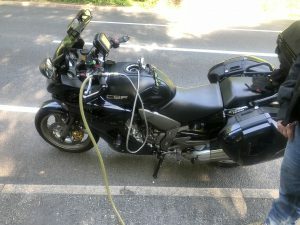 This couple of riders (husband & wife) were out for the day with their dogs on board when they stopped for fuel, the husband decided that he would take the dogs for a walk whilst she filled up… 150 yards round the corner both bikes started smoking and cut out! The husband who happened to be a motorbike mechanic realised what had happened straight away and called his breakdown company who passed it to us. They realised what they had done when the vehicle wouldn’t start when trying to leave. One of our SPA accredited technicians arrived within 55 minutes and had both bikes drained, flushed and running again in just 20 minutes! 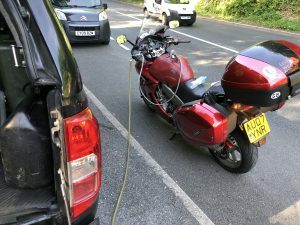 If you’ve put the Wrong fuel in your bike in or around Betws-y-coed, North Wales then NW Fuel Drain have a dedicated team waiting 24/7, 365 days a year, to help if you’ve put the wrong fuel in your car, truck or motorbike. Being based locally on the North Wales border we have a 1 hour response time across the North West & North Wales. Regardless of any wrong fuel situation, whether you’ve petrol in diesel car in Betws-y-coed, North Wales or diesel in Petrol car. We always aim to get our customers back on the road again and from as little as £145 we are one of the cheapest around. If you’ve put the the wrong fuel in your car, van, bike or boat in Betws-y-coed, North Wales make sure you call NW Fuel Drain on 07554851721 where one of the team will be more than happy to assist you 24/7/365.